This book explores the possibility of drawing upon a punk ethos to inspire sociology and to cultivate a vibrant future for the discipline. Aiming to fire the sociological imaginations of sociologists at any stage of their careers, from new students to established professors, it uses punk to think creatively about what sociology is and how it might be conducted. Dave O’Brien finds this a readable, fun, intriguing and vital book, although the author does romanticise the punk movement somewhat. This review originally appeared on LSE Review of Books. Punk Sociology. David Beer. Palgrave Pivot. Jan 2014. Sociology always seems to be in crisis. It is a discipline that is always searching to define its own disciplinary boundaries, whether theoretically or methodologically, as differing traditions compliment but also compete with each other to answer crucial social questions.Sociology’s existential questions are also tied to social relevance, as alternative sources of social analysis threaten to undermine the discipline’s claims to tell us how society does (or more often does not) work. Notwithstanding the disciplinary soul searching and potential limitations when compared to other forms of social analysis, sociology has been called to account over a failure to respond adequately to the financial crisis, the subsequent recession and the austerity programmes favoured by many western governments. 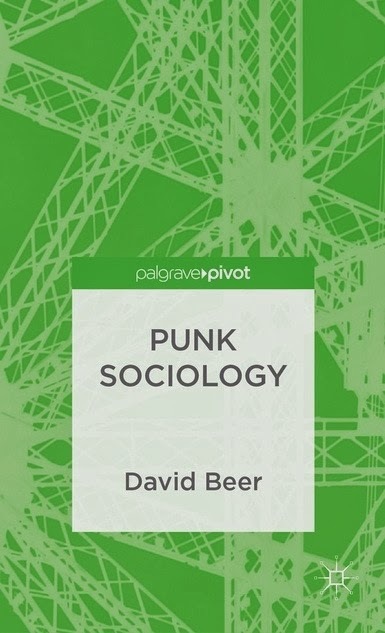 It is into this latest moment of difficulty that David Beer, of University of York, has launched something of a manifesto with Punk Sociology. This short book, part of Palgrave’s new Pivot series, aims to show how sociology might renew itself by looking to a cultural phenomenon, punk, for a new sociological ethos. The book is well written, engaging and very easy to follow, offering a perspective on how to do sociology that could easily be digested by academic and student in little more than an afternoon. It deserves to take its place within the cannon of sociological texts that ask both what sociology is and what it is for. At the same time its fundamental thesis, that there can be a punk sociology, requires some very serious caution and is based on a potentially nostalgic use of some questionable history. The book is organised into two parts, the first setting out the problems facing sociology and offering the punk ethos as one potential solution, with the second giving examples of how a punk sociology might manifest itself. The opening part contains the more conventional chapters, taking up about half of the book. Part two is organised in a particularly interesting way, with four of the five chapters designed to mirror the style of a punk song- short, direct, stripped back and raw, with little in the way of the excesses associated with the more usual style of academic book chapter writing. The form of the book is closely linked to its content. Punk Sociology aims to set itself against what it thinks of a ‘prog’ sociology, which is indulgent, self-congratulatory and ‘wrapped up in its own sense of self importance’. Prog sociology is the sort of social science that is seen to have failed during the financial crisis, as it became disengaged with the questions facing public life. 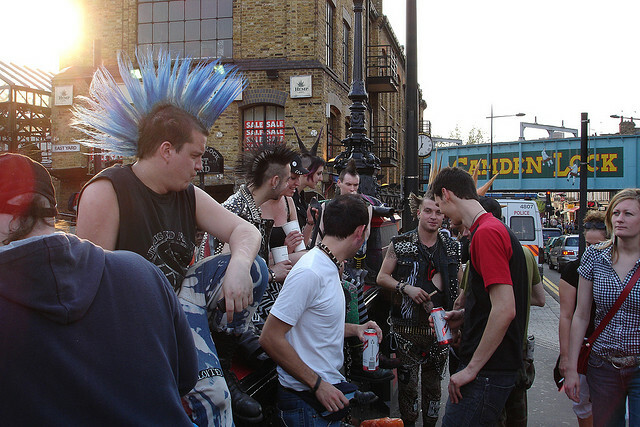 Punk Sociology seeks to rectify this by offering the potential of a sociology that uses a range of approaches and principles more akin to the DIY ideas of punk. There is also a focus on the fearlessness and scepticism of traditional structures in the book, suggesting that sociologists should not be afraid of intervening in public debate, developing forms ofresearch practices or creating outputs and outlets for their research that might destabilise the current academic hierarchies that, in the vision outlined by Punk Sociology, have produced the conservative, prog, sociology which is in crisis. The book is at its strongest in the appeal towards cultural resources. It is most interesting that even the most critical voices in the recent debates over innovative forms of doing sociology have used media that go beyond the academic article and book. They have also been relaxed about situating the dissemination of their sociological positions within a wider set of cultural reflections. This chimes well with the idea that to renew itself, sociology must go beyond or outside its boundaries for the source of that renewal. In Beer’s case it is to the ethos of punk culture, but it could also be found in a range of other cultural practices that understand the tacit knowledge and skills of those from outside the academy, whether as market researchers, shoppers or cultural practitioners. Whilst the book is a welcome intervention into the debates over the future of sociology there are two issues that are very obvious. In the first instance the pricing of the text in hardback makes this reviewer sceptical about its ability to really go beyond a traditional academic readership. Whilst the electronic versions of the book go some way to addressing this fear, there is a danger that Punk Sociology is being delivered to its audience using prog media. The second, and more substantive criticism, is around the idea of punk itself. The book uses a highly romantic vision of the punk movement, one steeped in the narratives of the punks themselves. This is not at all unusual for contemporary forms of cultural history that have a rich seam of resources, including records, books, interviews and television programmes, to mine. It does, however, prompt the reader to ask what else the punk ethos may link to? Academia is currently grappling with the impact agenda, with demands for the profession to be more entrepreneurial and to appeal more directly to students making complex financial decisions about their choice of courses. The idea of a sociology as sceptical about hierarchies, about being raw and stripped back, about being direct, DIY, and fearless could equally be the sociology that HEFCE is comfortable with, albeit without the measurement regimes. There is little in Punk Sociology devoted to punk as a harbinger of the elements of Thatcherism that too stressed the DIY ethos, the suspicion of hierarchy and the entrepreneurial self. In many ways the punk of Malcolm McLaren, notably referenced in the preface of the book, is the punk interested in making money and individual success. The problem with the way punk figures as a sociological ethos may well be the elision between the punk of The Pistols, who were as much a corporate monolith akin to any X Factor winner and the punk of the DIY ethos. It will be vitally important that punk sociology follows a different path to the punk music that culminated in the sale of butter, a product to be sold like the music. Overall Punk Sociology is, notwithstanding it’s over indulgence of a potentially mythological narrative of the musical subculture, a readable, fun, intriguing and vital book. It deserves to be read widely and if it is not to be followed it will at least give sociologists and, indeed, other academics, something to react to, kick against or perhaps even to work with. Dave O’Brien is a Lecturer in Cultural Industries at City University London. His work on cultural value includes a recent secondment and report to the UK’s Department for Culture Media and Sport. His work on urban cultural policy can be found in his PhD from the University of Liverpool, which explored the governance of the European Capital of Culture programme and cultural policy in Liverpool and Newcastle Gateshead. He has published several papers on this topic and is currently developing a book on the subject. Read reviews by Dave.